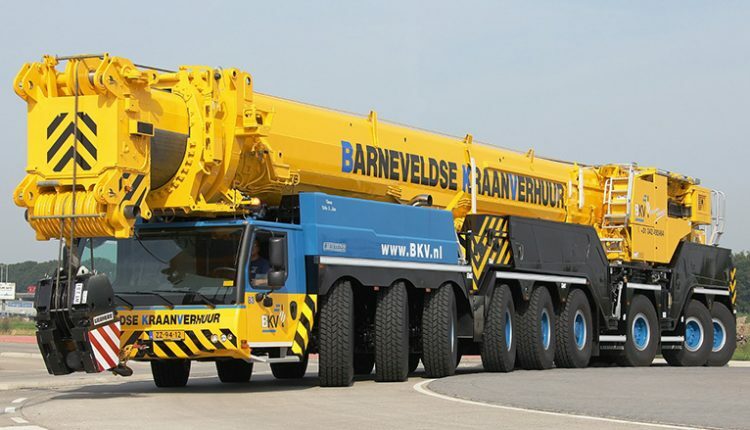 Dutch hire firm BKV has purchased a Liebherr LTM 1750 all terrain crane. The company said that it would be used to meet an increased demand for greater lifting capacity. The company, based in Barneveld, the Netherlands said that the new crane would allow it to meet a growing demand for higher capacity lifting in markets such as construction, infrastructure and wind energy. In the construction and infrastructure sector BKV said that the 750t crane could be used to position prefabricated concrete objects such as sections of bridges and viaducts. For wind energy, the company said that the growing size of wind turbines had led to a demand for higher lifting capacity. The LTM 1750 crane has a maximum lifting capacity of 750t with a maximum lifting height of 150m, which it reaches with an auxiliary hoist and movable accessory jib. BKV said that the new crane bridges the gap between Liebherr‘s existing 700t and 1,200t cranes.